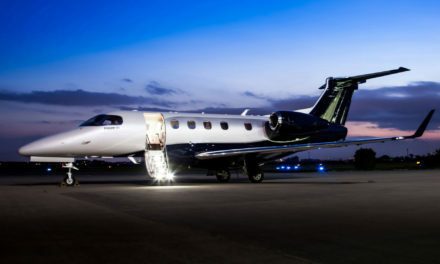 Embraer Selects Honeywell JetWave for Lineage 1000E High-Speed Data Connectivity. 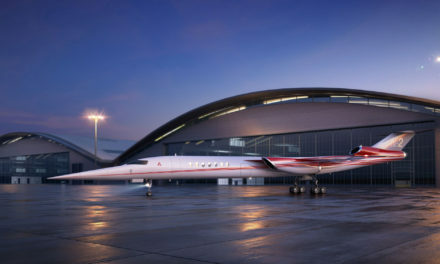 Embraer announced during Ebace the selection of Honeywell’s JetWave Ka-band technology to power the Lineage 1000E business jet’s high-speed data connectivity through Inmarsat’s Jet ConneX satellite service. The first Lineage 1000E with this new feature will be delivered in the first quarter of 2018. Honeywell’s JetWave technology connects to Inmarsat’s Jet ConneX™ satellite service, which delivers speeds of up to 15 Mbps and seamlessly integrates with the Honeywell Ovation Select entertainment system onboard the Lineage 1000E to deliver high-speed Wi-Fi throughout the aircraft’s 750 sq. ft. (70 m2), divided into five distinct zones. The loft-size cabin, with aft private suite, mid-section lounge with three seating areas, dining area, and crew lounge forward of the cabin, provides passengers the ideal venue for enjoying much faster and more reliable in-flight Wi-Fi connectivity, allowing video streaming and cloud content access from any of these areas. With a performance equivalent to that of a home or office, the conditions are ideal for continuous business productivity as well as for entertainment enjoyment through personal digital devices or on the aircraft’s Media Center, which delivers high definition video with 5.1 surround sound. PreviousCessna Citation Longitude crosses the pond for European debut; program on track for certification later this year. 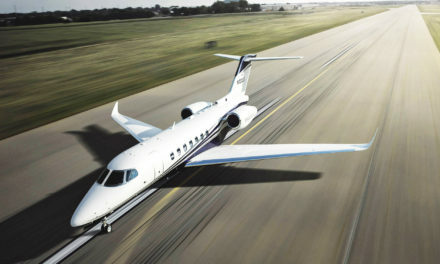 NextGulfstream G600 flies 13 hours showcases aircraft’s endurance. Embraer reaches 2017 delivery outlook.